I was able to witness how diverse and multicultural Singapore is when I visited my cousins there last year. Their culture is a melting pot of Chinese, British, Malay, and Indian cultures. Amazing! I stayed in a hostel near the Chinatown, where old streets and Chinese-inspired buildings can still be seen, and just a few walks away from there, you’ll find modern metal buildings all around the city. Their food is also very diverse. There are lots of cuisines to try – Chinese, Indian, Malay, Western and even Fusion. One friend tried an Indian food called Mi Goreng (it’s like spaghetti only 1000x spicier) and ended up eating only a spoonful. I mostly tried Chinese food since I am more familiar with it. Malay dishes (mostly with coconut milk) are widely available too. 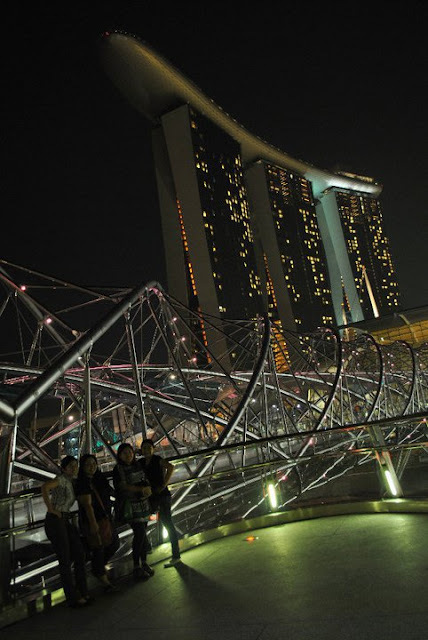 If you want an extraoridnary experience of multicultural life, visit Singapore! Can’t wait to go back next year!